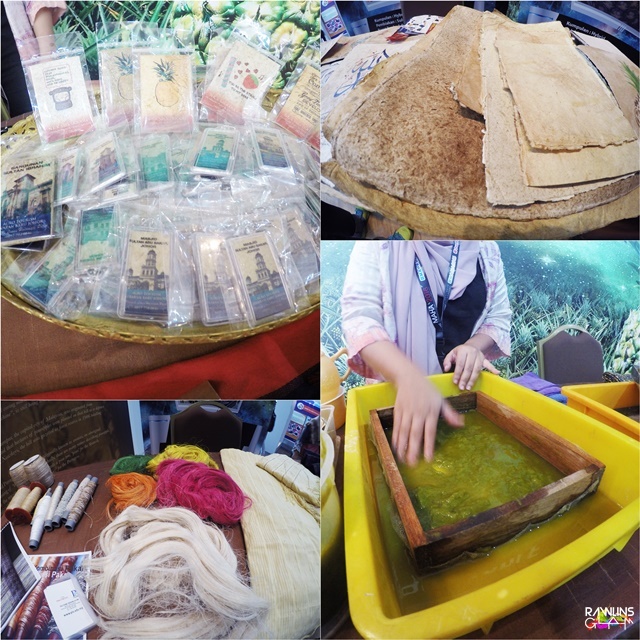 Beautiful & GLAM by Rawlins bernas blogretis byrawlins Laman Nanas Laman Padi MAHA MAHA 2016 MAHA 2016 Malaysia Nafas Cube @ Mardi Our Food Our Future Perikanan Recreation Tourism Upin dan Ipin Wellness Ada Apa Dengan MAHA 2016? I have never set foot at MAHA ever since it started a few years back. Why? MAHA stands for Malaysian Agriculture, Horticulture & Agrotourism. I am a Sarawakian and have always been around the paddy field, fruit orchards and the greenery since I was small - so why bother going to a place where they exhibit such environment - I always thought to myself. You've seen one, you've seen all was my motto about MAHA. As curiosity always gets the best out of a cat, intrigued by the thousands of updates and the notifications on my FB and Twitter's timeline about MAHA 2016, I set my foot for the first time ever to MAEPS, a vast land where MAHA 2016 was held. I was about to be proven wrong about my motto. As it was early in the morning, I went straight to Nafas Cube @ Mardi to have breakfast. I heard so much about how innovative and attractive is the setting of NNafas Cube @ Mardi. When I arrived there, I was awed by the creativity of the whole setting of Nafas Cube @ Mardi. NAFAS Cube is a collaboration project between National Farmers Organization (NAFAS) and Mardi. Converted used container and culvert into living quarters and apartments are the main attraction here at Nafas Cube @ Mardi. The apartments are equipped with basic necessities such as beds, air-conditioning unit, prayer area and bathroom, depending on the type of the accommodation. Rental prices are RM350 for VVIP Container, Executive Container is RM 180, the culvert is RM150 and tent is RM120 per night. Can I have this amazing room please? Next, I went to Fisheries area (My DOF Valley - Laman Perikanan). Ever heard of Sate Tuna? I bet you have not. Here at MAHA 2016, you will experience and taste the first ever Sate Tuna. Since I have just had breakfast, I could only eat 2 sticks of Sate Tuna. Boy, was that a delicious treat. This automated system tank can replicate the real ecosystem and can be controlled by your smartphone. Imagine having a forest ecosystem in your living room! Another attraction that really gets the crowd going at the Fisheries area is the 'Rumah Terbalik'. It was fun taking pictures inside a house where everything was upside down, including the toilet. Imagine how can one use the toilet in this house. Now, how are we going to prepare the lunch? Now, how are we going to eat the lunch? Right across the Fisheries is the Paddy area (Laman Padi Bernas). It has a real paddy field, complete with a mud football field if you are into it. Here, one will be walking through the history of paddy planting in Malaysia and also the evolvement of the types of machinery used. The next team of Malaysian footballers. With the hard training in the mud, I am positive they will become the world champion. I am sure of that! I took a tram to my next place of interest on my list, which is Pineapple Planet (don't you dare sing the PPAP song). The area was so beautifully decorated that I was half-expecting to see Spongebob Squarepants and the gang there. Hehe. INFO: Lembaga Perindustrian Nanas Malaysia is celebrating its 60th year of establishment this year. There are a lot more places of interest that you might want to visit here. Be sure to check the map and plan your journey and get the best out of it. And it might be your luck to be picked as the Lucky Visitor just like this lucky man. Pssttt I heard the price was a shopping spree for him. How lucky! Use the second door which is adjacent to the Shell Station after the AES (coming from Puchong towards Bangi). The parking space is near to the Tram pick up area and way easier to get out from once you have visited the whole area. The maps of MAHA 2016 are located all over the place so you will not get lost. But to be on the safe side, just take the map along with you and plan your route. Bring along an umbrella, cap and a handheld fan - just in case. 75% of the area is covered, but since the weather is somewhat unpredictable, it will be great to come prepared. Wear comfortable clothes and footwear. Please do not wear your best baju kurung, kebaya or batik as you will do a lot of walking. And please, if you are to wear your killer heels, be cautioned that the area is not completed covered in tar. There are also concerts at nights. Check out the celebrities that will be entertaining you the night through. Only two small kids among the whole lot of adults - so who is the real fanatic fan of Upin dan Ipin now? I wish I don't miss this great event. 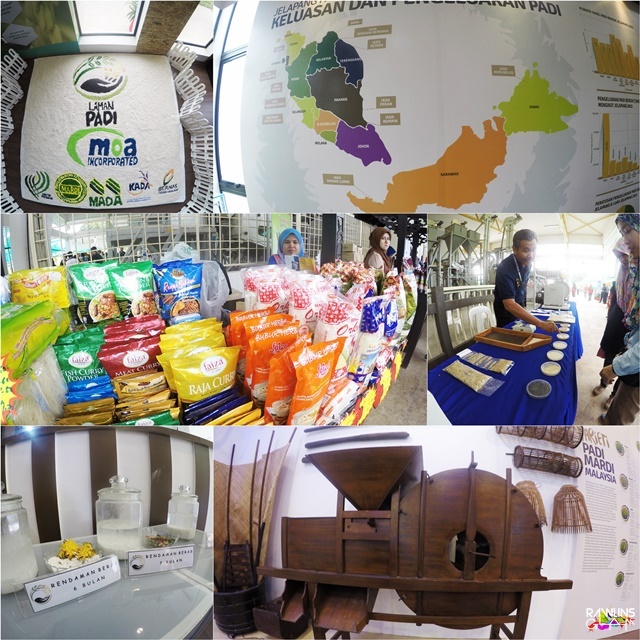 Many interesting things at MAHA 2016. Alahai. Tak sempat nak ke rumah terbalik tu. MAHA ni memang tak sempat nak tawaf satu hari. Tak silap, setengah pun tak sempat. Tapi memang best la. Hopefully we all can make it to the next one. This place looks like a great place for a group of Friend to have fun and bond! I saw so many posts on this! Seems like so much fun there! The exhibition looks happening. Akan bawa anak I pergi minggu ini. Such a wonderful and exciting event! You are so lucky to attend :) When is the next MAHA?? What an amazing outing it was for you and your friends. I wished I could have visited as well. Now it looks like I need to wait for two years! wow this event looks super fun! Ada Time capsule retreat too!! seems nice! will definitely check it out! This event really happening. I saw the nice place to stay n the food too. Really miss out the event.